I can think of few more easily recognized icons in pop culture than Spaceship Earth at Disney’s Epcot. 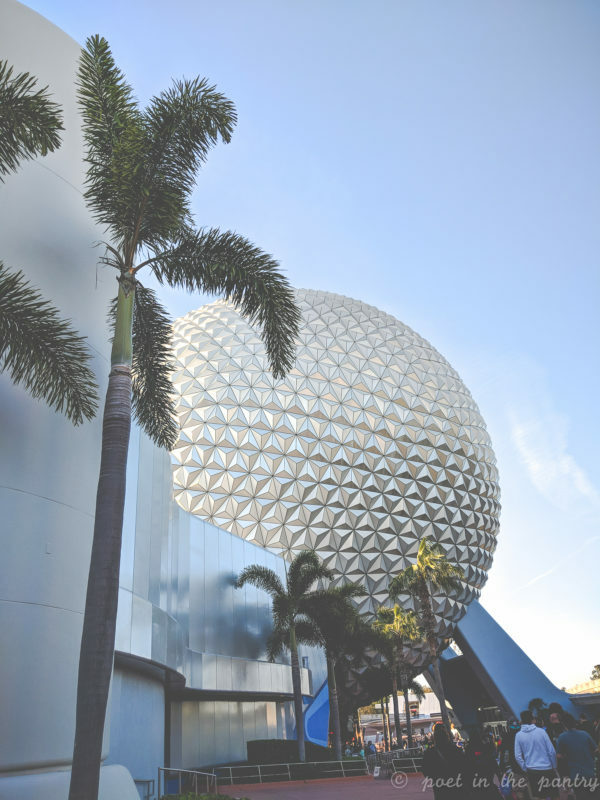 Whether you call it the giant golf ball or its real name, it’s more than just a really neat landmark to figure out where the entrance to Epcot lies. 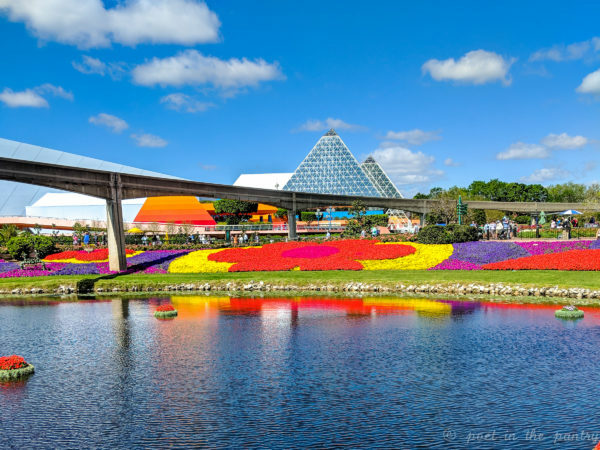 During our 2015 trip to Walt Disney World, Epcot got the short end of the stick. Every time we attempted to browse, our timing was off. 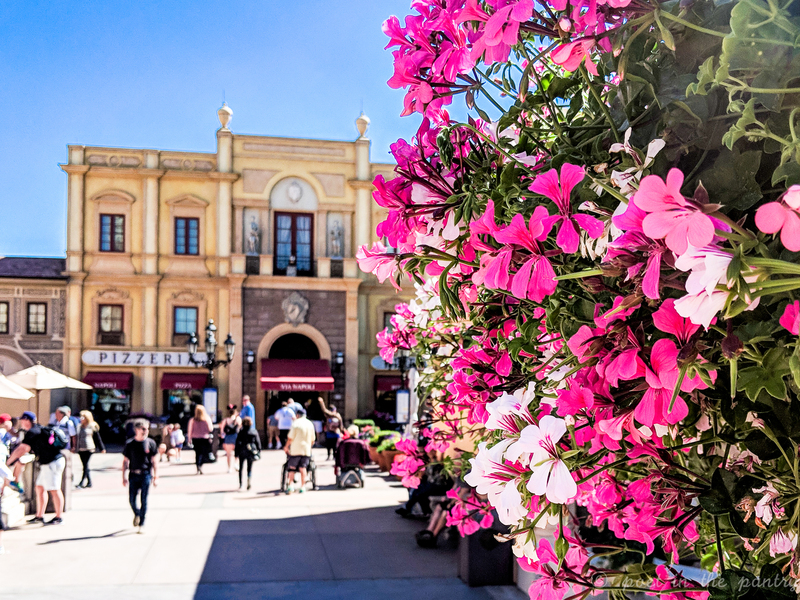 Extra Magic Hours proved to be of little use in investigating the World Showcase–the loop of 11 countries that comprise the bulk of Epcot–as most of the vendors closed at the normal end of the day, regardless of our reward for staying at a Walt Disney World Resort. We had better luck on another night when we decided to tour during IllumiNations, the fireworks show, but that meant we missed the fireworks themselves. And I don’t even want to get started on our last failed attempt of that trip. After all those misses, Epcot was high on my list for a thorough look on this vacation. The World Showcase doesn’t open until 11AM. 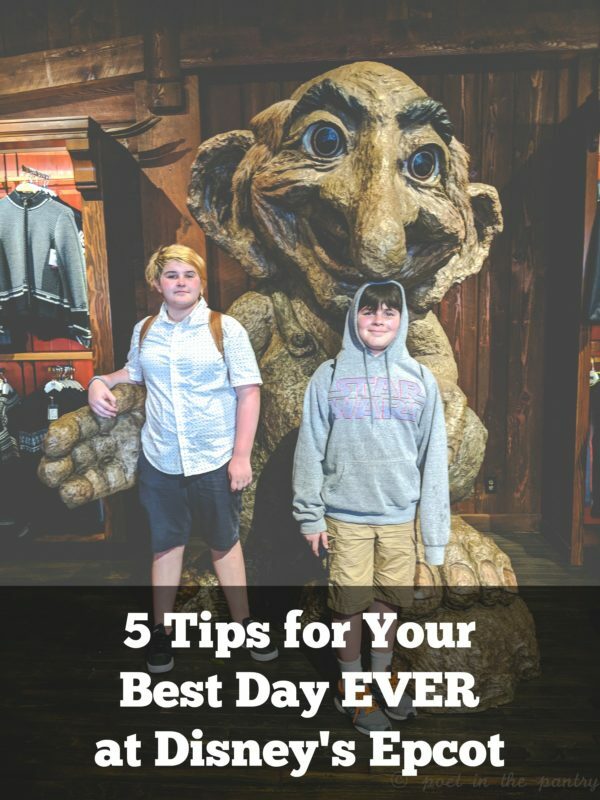 As such, many guests don’t even bother with running for rope drop (which varies, day to day, season to season, so check the park hours first), leaving you with a perfect opportunity to work your way through the rides before the crowds for the day arrive. 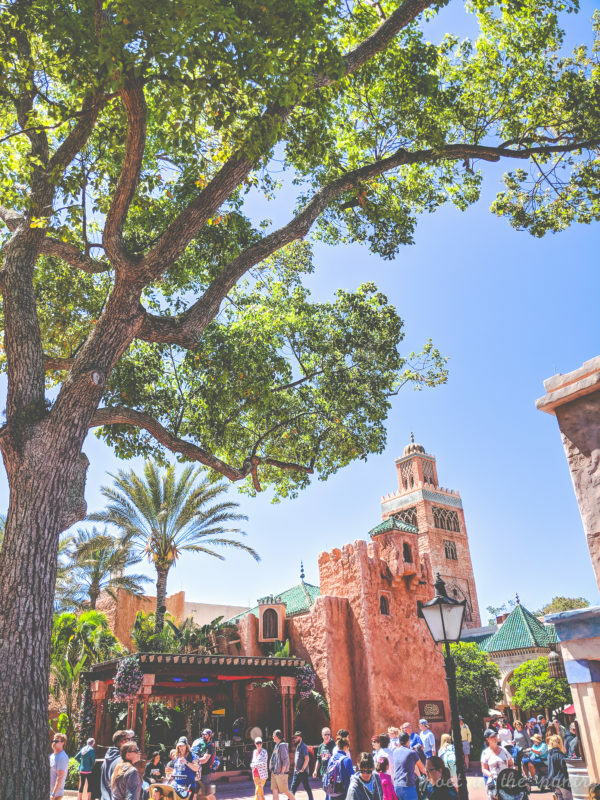 And even if it seems busy (it’s not), the waits will be the shortest they’ll ever be for the day, so you have your best chance of hopping on to what you didn’t reserve with a FastPass+ without sacrificing much of your day to standing in line. 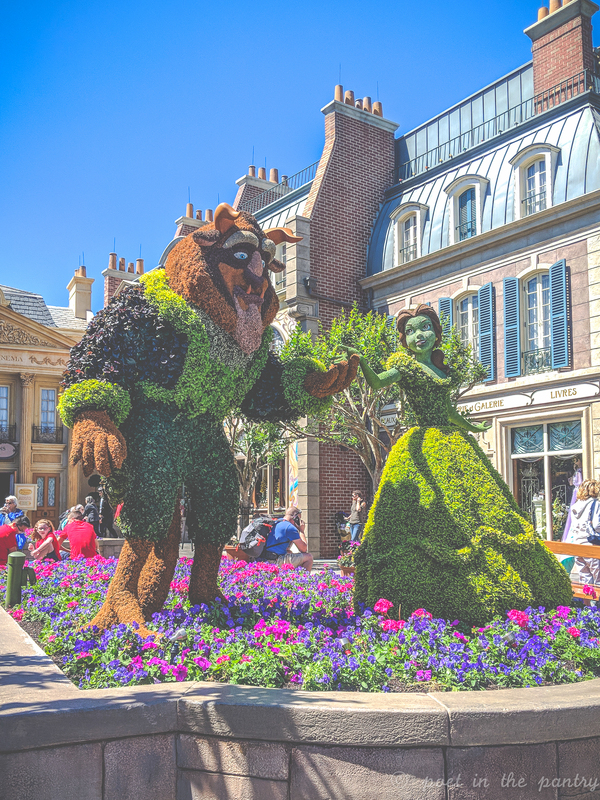 If you follow my advice and get there right at opening, you won’t need to waste a FastPass+ on Spaceship Earth. Yup, it’s the first ride when you enter the park, but it’s one of those constant motion rides, so it loads quickly. Wait times at opening will be 5-10 minutes, allowing you to check that off your list super quickly. Epcot is an anomaly with FastPass+ in that there are priority groups, from which you can only select one ride to reserve. Yeah, it’s not my favorite thing. On the latest trip, I had a group of 7, ranging from 10-70 years old, with vastly varying preferences in ride experiences. As such, I learned that, early in the day, the wait for Soarin’ Around the World is pretty short. In fact, it takes about as long to go through Soarin’ as it does to ride Living with the Land, including the time in line. Which meant my group was able to split into two, reconvene at pretty much the same time, and everyone was super happy. Test Track, on the other hand, had a 45-minute wait almost immediately. With only 2/7 of our group interested in riding Test Track, it wasn’t a priority for us. 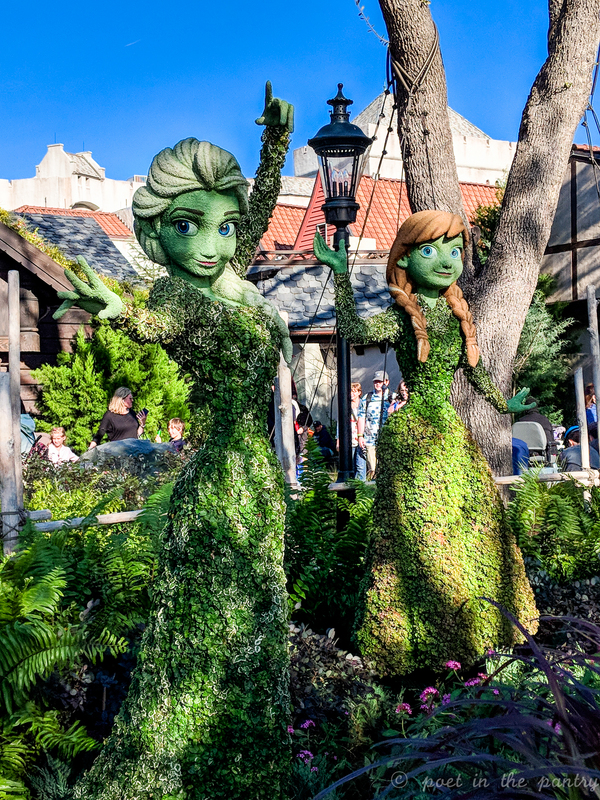 We saved our FastPass+ for Frozen Ever After, a ride that’s in such high demand that waits frequently exceed 3 hours–and it’s worth a long wait. 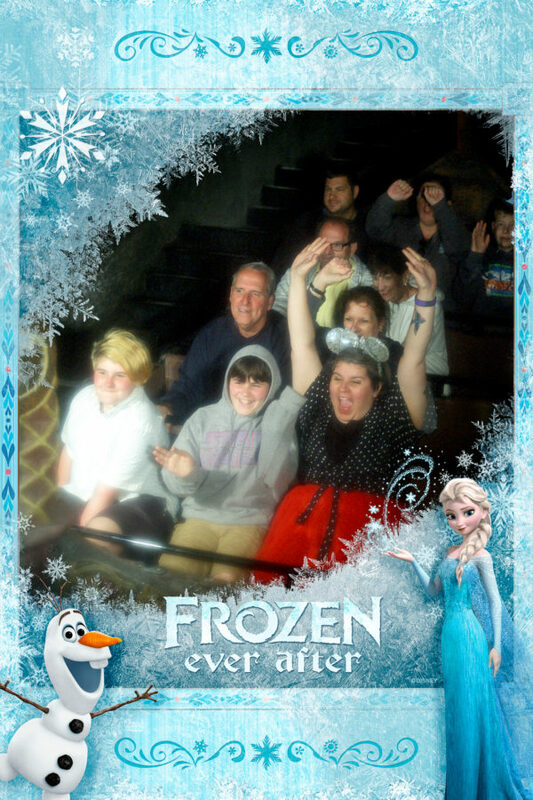 I’ve never ridden Test Track–I am old and have problems with motion sickness–but I adored Frozen Ever After, and I have no regrets about that exchange. Your mileage may vary. Choose wisely and try your best to work the early arrival to your advantage. There’s no getting around it–you will walk a lot, and your feet may not be so happy with you about it. You’ll see over and over again the recommendation to wear sensible shoes. What that means varies from person to person. For me, it turns out that “running shoes” are far more detrimental to my enjoyment of the day than, say, a pair of Converse. But my Doc Marten canvas Mary Janes, equipped with fancy orthotic insoles, beat them both. 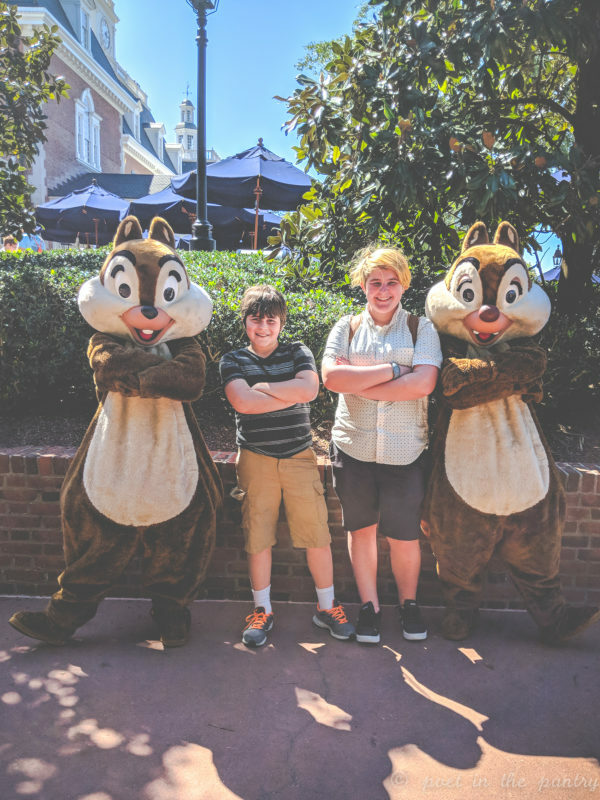 We logged over 8.5 miles at Epcot, then went back out to Magic Kingdom for more punishment. Be prepared. Maybe start walking a little more in the weeks leading up to your trip. And be kind to yourself. Your feet will thank you. 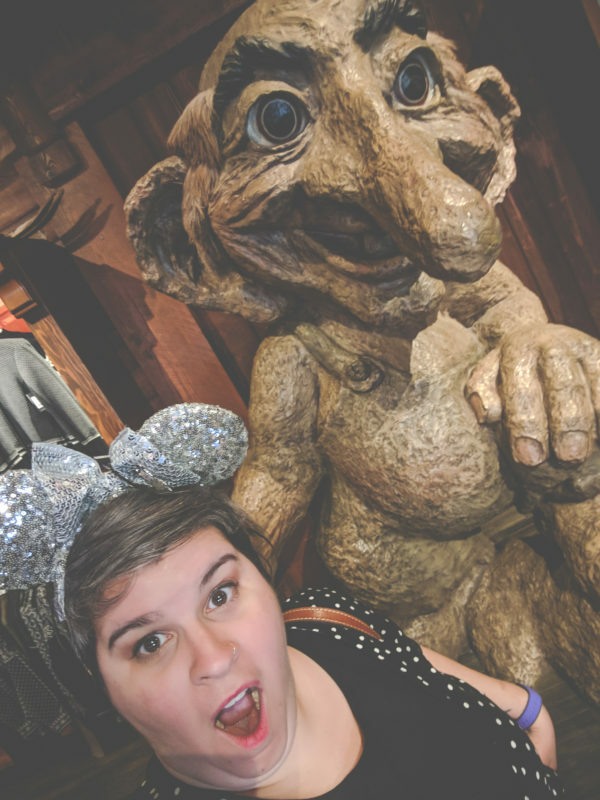 My biggest regret is that I allowed my concerns about whether or not the other people in our party were enjoying themselves to prevent me from taking my time to absorb the pavilions in the World Showcase. I had shared with them my plan to eat my way around the world (which the kids and I succeeded, if you accept the fact that we skipped the U.S., since we eat American food all the time). But we failed miserably in making the most of our sampling of the world. 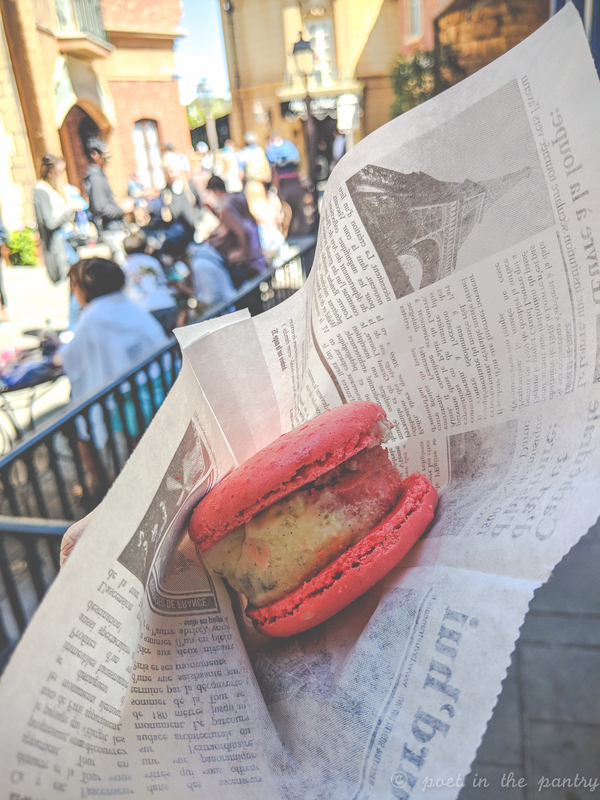 It turned more into a scavenger hunt, with me immediately identifying the key stops in each country, barely taking a moment to scarf down our eats, then moving on. 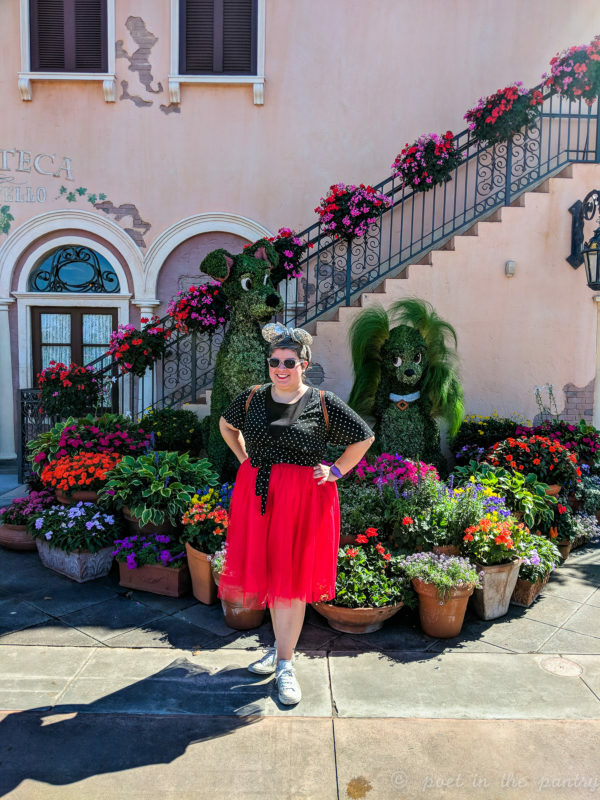 While we sat for a few moments in France so I could savor my Grand Marnier Orange Slush (and spill it down the front of me–oops! ), we didn’t do enough of this. 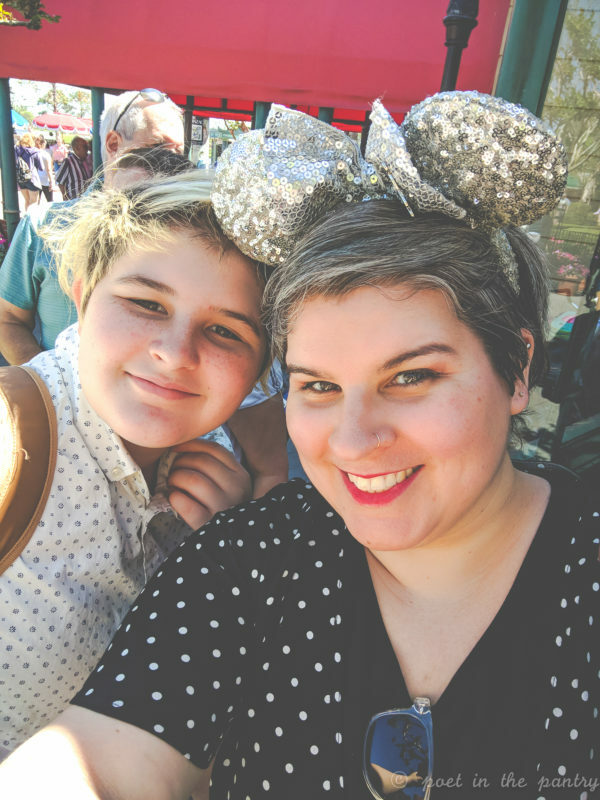 Any stops we made for non-food attractions were based entirely upon chance happenings, stumbling upon performances already in progress or just begun–Sergio the mime and juggler (Italy), the Jeweled Dragon Acrobats (China), Matsuriza (Japan)–and we stood the entire time. Most of the shops were skipped over. 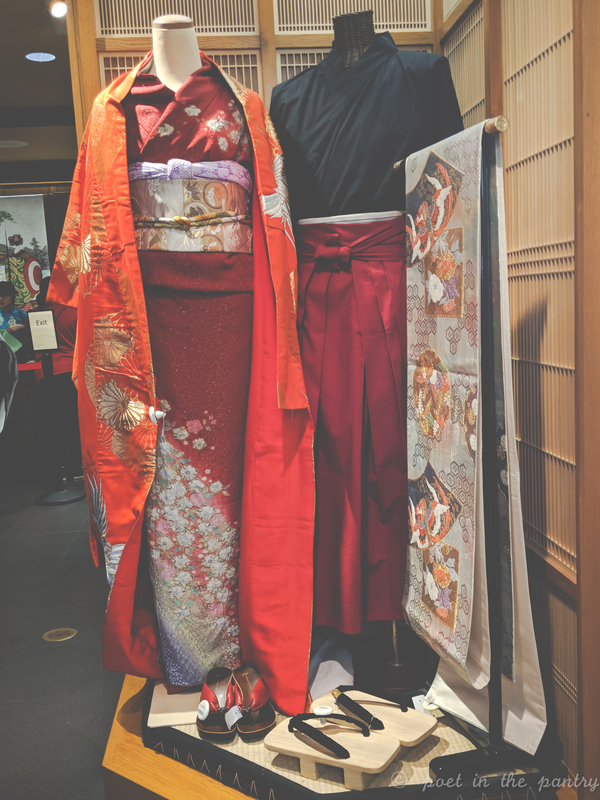 When I lost myself in exploring Japan’s offerings, I soon felt guilty for holding up the group. And I really should have insisted on that beer garden in Germany, after all. Most of this comes from personality flaws that I’m working my way through (hello, co-dependency), but I’m also warning you to not be like me. Walk around. Sit at the fountain. Look at the scenery. Disney does an amazing job creating the feel of these countries. Talk with the vendors–many, if not all, of them are originally from the countries in which they work! It’s not a race. There’s plenty of time. You paid a lot of money for this trip–you might as well get as much out of it as possible. And pace yourself–because it’s easy to wear yourself out well before the day is done. 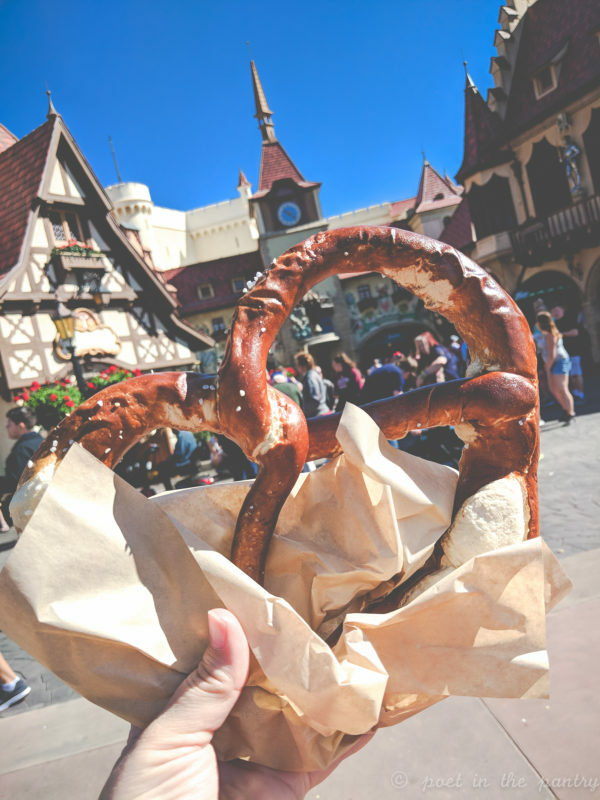 Bonus: Do sample at least one food and/or beverage item from each country! 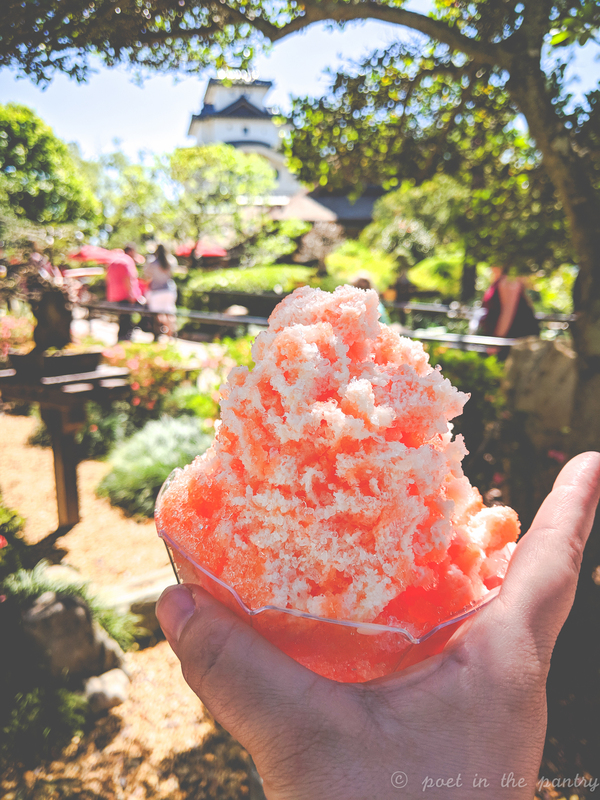 Kakigōri is a shaved ice dessert served with flavored syrups. This one is Tangerine flavored and was crowned with a drizzling of sweetened condensed milk. 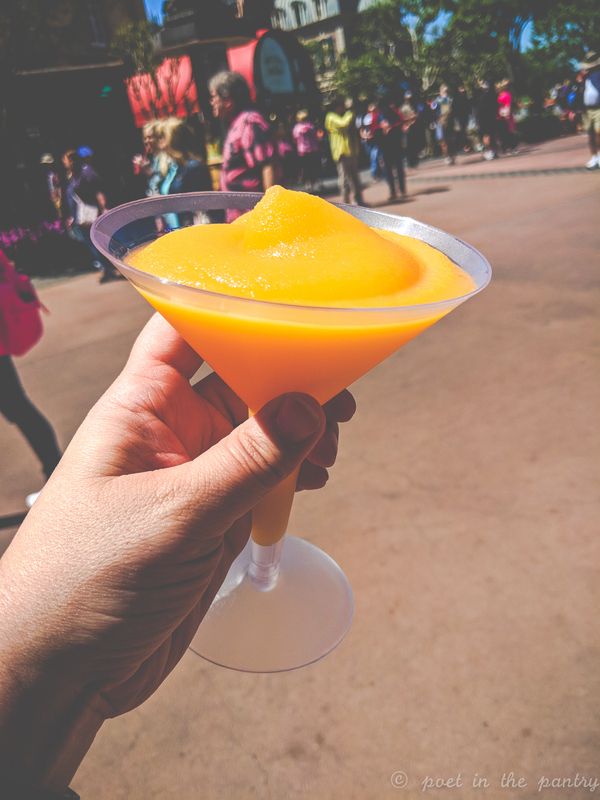 The Grand Marnier Orange Slush might just be my most favorite part of Epcot! Before this trip, Morocco was kind of disappointing to me. 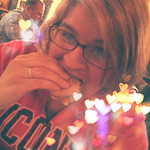 In 2015, we caught it as the food vendors were closing and the only thing I could manage to find was some old, soggy, not good baklava. I was not impressed. 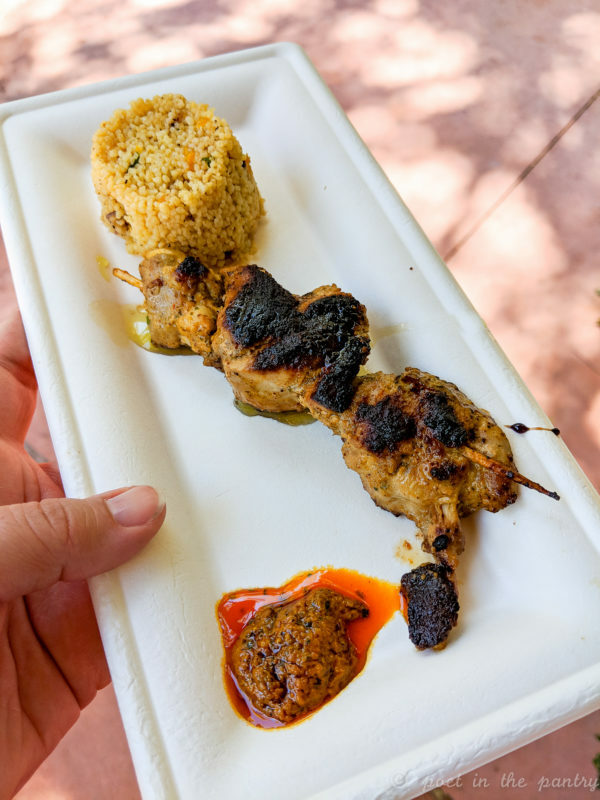 But this time, as we were leaving the Morocco pavilion, we discovered a food stand that offered chicken kebabs with tabbouleh and it turned out to be absolutely delightful! I’m glad I didn’t skip it! 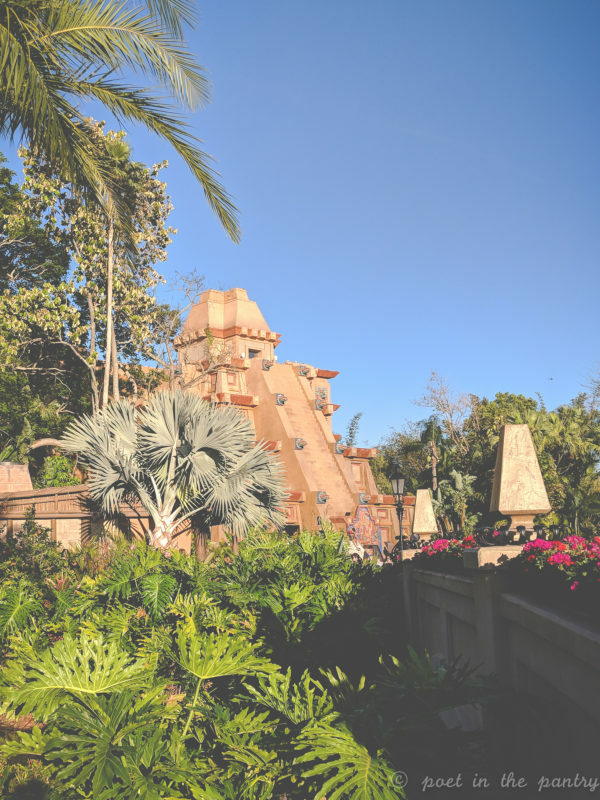 There’s a ride and a restaurant hiding in the Mexico pavilion! I couldn’t find the San Ángel Inn Restaurante during our 2015 trip and was disappointed, as it came highly recommended! It turns out that it’s hiding in plain sight. This time, I stopped on the steps of the Mesoamerican pyramid, shouting out to my family I think there’s a ride inside this! A little boy shouted back It’s a ride AND a restaurant! He was eager for me to join him, beckoning to me as he called This way!, but I had to wait for the rest of my group to arrive. 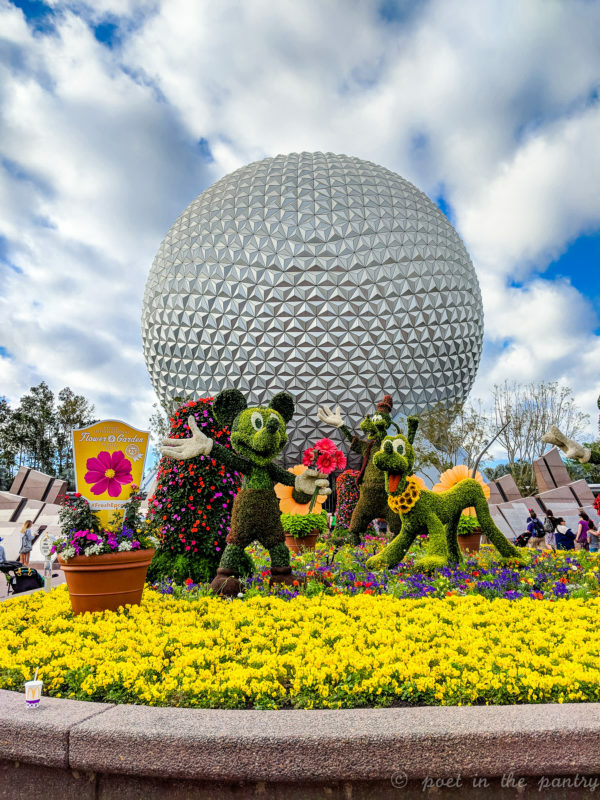 What are your tips for making the most of your day at Epcot? What great tips Carrie! I’d definitely want to eat my way through Epcot! Beautiful pics and looks like a good trip! Great memories! 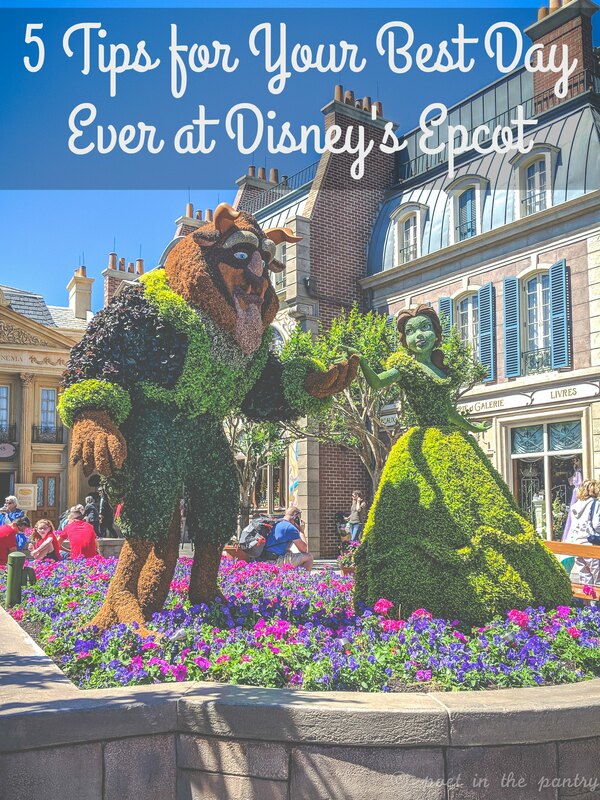 Never been to Epcot, but it looks like so much fun, especially the World Showcase.